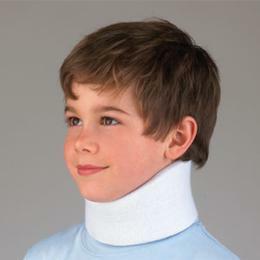 Microban® Cervical Collar - Youth/Pediatric :: Orthopedics :: FLA Orthopedics Inc. This collar prevents bacteria from growing with its antimicrobial protection. Its sturdy to keep the child's head sturdy. 2 to 7 Years: 10-12"
8-12 Years old: 12 to 14"